Davis Vision plans are designed to reduce or eliminate out-of-pocket cost. With complete freedom to choose any frame desired, over 80% of members still choose a Davis Vision Collection frame. Davis Vision rates are among the most competitive industry-wide for total flexibility in plan design, funding options and network composition. 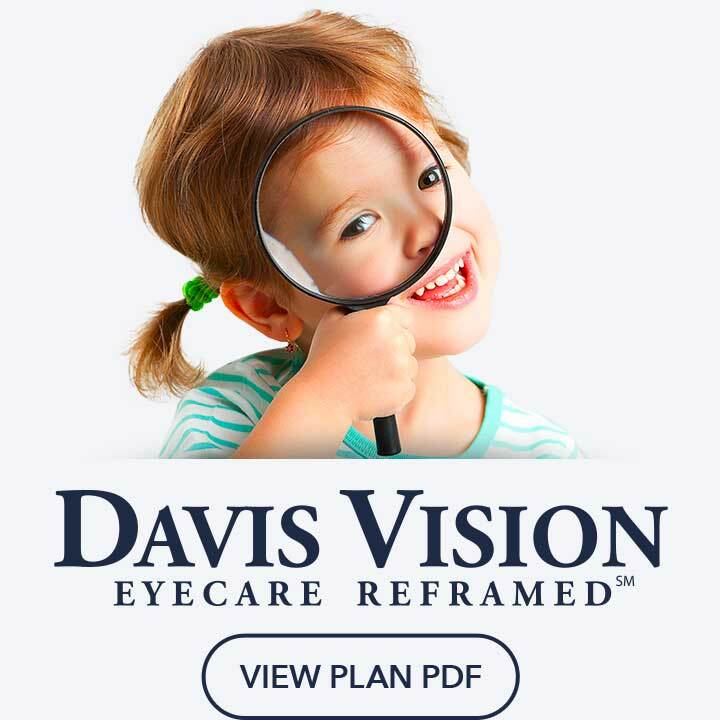 No wonder more than 98% of clients renew their plan with Davis Vision. Service for all … 100% satisfaction! Davis Vision does what they say they are going to do … guaranteed! Their goal is 100% satisfaction for clients and for members. Davis Vision promises quality: in their work, materials, service and network. They have managed vision care’s only ISO 9001:2000 certified laboratories with COLTS prescription and FDA conformance certifications, as well as NCQA certification for their provider credentialing process. Davis Vision serves communities with dedication and care, providing vision services, food, clothing, toys and emergency provisions when needed most.